golf game are now revealed to Power Fusion Swing Sequence members! RE: Update: If you have the Power Fusion Swing Sequence, then this video is urgent for you to watch now. Congratulations on joining the thousands of golfers who are using the Power Fusion Swing Sequence to add serious distance to their drives, and improve their accuracy and consistency. See, many of my best clients are a lot like me – they are a tad impatient, and they want every possible method of achieving even better results, and achieving results faster. When they start using the Power Fusion Swing Sequence, they see an improvement so quickly, that they end up emailing me asking if I can help them in other areas of their game as well. That’s why I’ve created this video for you, so please listen closely. After helping thousands of golfers hit the ball further, straighter, and with more consistency and accuracy, I’ve found that there are 3 important factors that will allow you to make your next quantum leap in golf. Factor #1 is your ability to get your game back on track when you get into a rut. Let me ask you… Do you have an inventory of tactics at your disposal to quickly adjust? Or do you feel completely helpless on the course on days like this? Well, there are 3 simple, yet counter-intuitive ways I can show you to fix your missed shot when you’re off during a round. Factor #2 is developing a bulletproof short game to knock a few more strokes off each round. Factor #3 is understanding advanced putting mechanics that allows you to sink more 5-20 foot putts. Because if you can improve these 3 key areas of your game, then you’ll see dramatic improvements in your scores. And if you can get better faster… then the game will ultimately become even more fun. The first training called “Improve Your Move” begins with an assessment test that allows you to diagnose your deepest core swing flaw. We dive deep into each of these areas explaining what is going wrong, and the drills you need to implement to create immediate change in your swing pattern. This course gives you the power to be your own coach by equipping you with 3 to 4 easy-to-implement swing fixes for ANY flaw you might have. Next, we take a deeper dive into key items that will help you maximize distance and accuracy. Next, we’ll solidify your backswing by showing you how to identify and fix any flaws in your backswing. How to setup a “feedback loop” when you practice to make sure you improve and to know instantly if you’re swinging the club properly. Why you don’t want to be “like a rock” before your swing. And the surprising way to stay relaxed before you swing. Why this “totally wrong” shoulder and hip position can completely ruin your swing. How to use the momentum of your backswing to generate extra distance. Let’s face it… It’s great to hit long drives, but ultimately we play this game to shoot lower scores. Almost all amateurs strike their green side shots inconsistently and are limited to only playing one type of greenside shot over and over again that isn’t ideal for what the situation on the course dictates. Amateurs are never really taught the proper technique to execute these crucial stroke-saving greenside shots that the pros utilize so effortlessly. In this video series you’re going to learn how to make perfect greenside contact on all your chips. This course will turn you into a green side magician and save you several shots a round. How to master greenside contact to control your chip shots from any location. A simple eye trick to develop an elite sense of greenside touch. The difference between using small and big muscles in your chipping and why this holds back so many from developing green side shots that stop on a dime. We’ll break down your top 3 small body errors in chipping which make solid contact almost impossible. The ultimate feedback loop you can use when you practice to ensure you have the most efficient motion in your chips as possible. This prevents you from ever getting “handsy” again. Why keeping your head still on chip shots actually makes solid contact and distance control impossible… and how the spine should work through the shot. The top 10 chipping errors… with drills to completely eliminate any of these short game mistakes. Once you start to understand your flaws around the green and the proper fundamentals… These become some of the easiest shots to hit in golf. Let’s say you shoot 80 and average 30 putts a round. This means 38% of your shots are with your putter. This video series is extremely visual and dissects why golfers struggle to ever become great putters. By now you can probably see how each of the courses in this “Breakthrough Improvement Series” is designed to improve your game all around. Altogether, it contains over 3.5 hours of HD training videos… 100’s of close-up and slow-motion shots… And split-screens showing you common mistakes to avoid… All designed to create the perfect learning experience. For a special one-time investment of just $97. That’s less than the price of a single wedge! You’re getting all three of these programs for 58% OFF the retail price today. Click the button below to unlock the “Breakthrough Improvement Series” in your members area. “Breakthrough Improvement Series” to my order! Performance Golf Zone members area! Comes With A 90-Day Money-Back Guarantee! Start using the techniques you learn in the “Breakthrough Improvement Series” and watch how it turns you into an all-around solid ball striker. 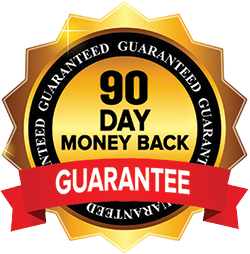 If you aren’t thrilled with the program for any reason, simply send an email to [email protected] for a 100% refund. Remember, this 58% discount is available only to new Power Fusion Swing Sequence members, so grab your spot today by clicking the button above. 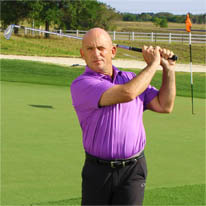 Bob Kramer’s Breakthrough Improvement Series is proudly published by Performance Golf Zone.